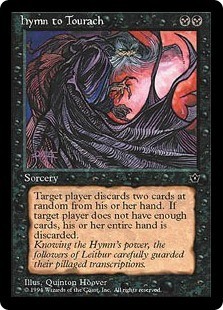 A common so powerful it was never re-released and has become the most valuable card in the set at $2 NM (Near-Mint). $2. 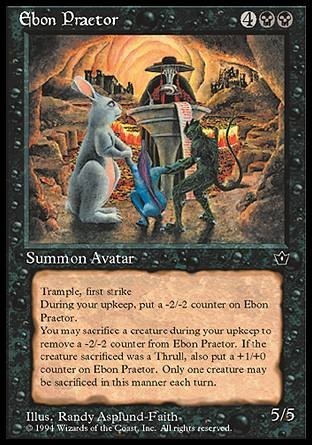 This card is worth less than most sandwiches. Both potentially awesomely strong cards. The problem: both require you to have a deck full of Thrulls to work. 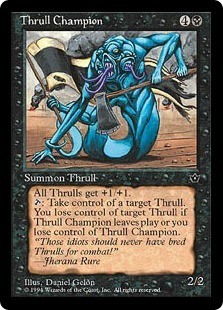 Thrulls? There's a reason they were only in this set. They're boring to play with, and no one wants a whole deck of them. The cards aren't worth anything and they don't integrate well into the game as a whole. 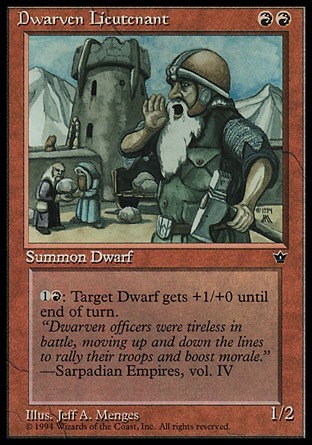 If you have a lot of Fallen Empires cards you can make some powerful decks out of them if you use them all together, but in light of the awesomeness of future sets Fallen Empires is little more than a relic today, and my least favorite set that I have any experience with. If you want to defend Fallen Empires, stoke my ego by agreeing with me, or ignore this completly and opine on your own favorite and least-favorite sets, head on over to the forum where there is a thread dedicated to just that.